Spider silk is probably the strongest substance known in nature, weight for weight it is five times stronger than steel. It is made up of chains of long proteins that bind together to create fine strands, but exactly how this occurs is still somewhat a mystery. 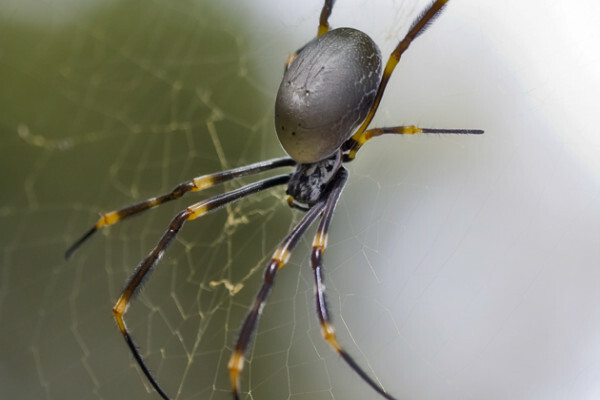 Now, a study published in PLoS Biology looking in detail at the chemical conditions inside spiders' silk-spinning glands has spun out some answers, which may help to recreate spider silk on an industrial scale. The spider silk is stored in a gel form inside glands within the spider. Here it can be transformed from a liquid into a solid in less than a fraction of a second. But just how the substance remains a liquid, and how it forms a solid so quickly is a mystery. You can think of it much like squeezing (liquid) toothpaste out of a tube, whereby it becomes a solid. These glands inside of the spider are so small that the researchers, from the Karolina Institute in Sweden, hand-made tiny electrodes in order to measure the acidity along the inside of each gland. They discovered that the acidity varies as you move along the glands, becoming more acidic closer to the exit of the body of the spider. As well as acidity, the levels of carbon dioxide also increase along the inside of the glands. They concluded that this variation must influence the proteins in the silk, helping them form long chains and strong fibrous structures. It is thought that this knowledge could help in the production of artificial silk because now we know what conditions are required to create this strong yarn, which could be useful in creating a whole range of products. "It is the holy grail of biomaterial research to try and replicate what the spiders have been doing in the test tube" said Jan Johannson, one of the researchers involved. This means if the correct acidity and carbon dioxide conditions are created, humans should be able to recreate nature's strongest substance.